What does the Tax summary report show? This report shows the taxes you'll have to pay each quarter. 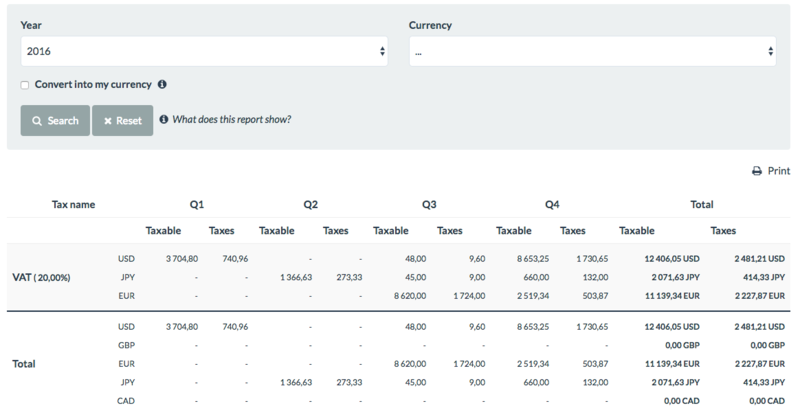 This report shows, for each quarter, your taxable income (based on jobs invoiced) and the taxes that you will have to pay on that amount. The taxes considered in the calculation are those you defined under Settings > Accounting and that you have actually used in one or more invoices.